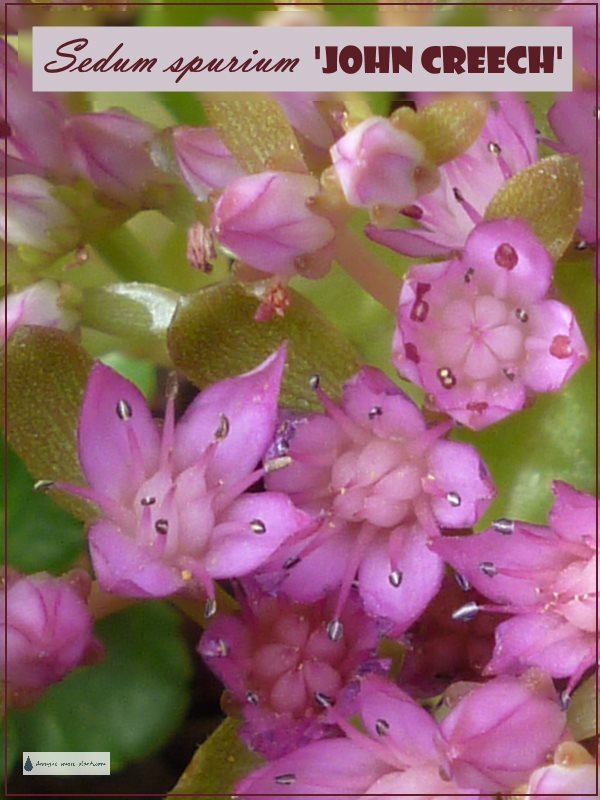 Sedum spurium ‘John Creech’ – discovered in the Balkan Mountains by Dr. John Creech, this distinctive member of the tribe forms small clumping mounds covered with mauve purple flowers in summer. The very compact growth habit and fresh green foliage combines well in mixed containers or green roof plantings, or in rockeries. I count this variety among my favorites for its well behaved habit and bright green clump forming foliage, and the starry blooms in July. Plant this one in the butterfly garden and stand back - the Great Spangled Fritillary and many others will flock to the flowers. As a bonus it's also a favorite plant for bees. 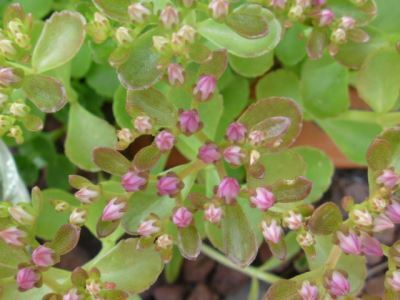 Ultimate size is a small clump around 20cm (8") across, and the flat to the ground stems are covered in flower stems that stand upright to around 10cm (4").